At home I collected most of my furniture over the years, I know what I really love and can wait for years to find the perfect item. Sometimes the luck is on my site and I can buy something from a friend, like the industrial cupboard I recently added to my kitchen and am still really happy with. I am not a big or impulsive buyer and even with accessories, call it boring... I only buy the things that fit in my masterplan! Do you remember the masterplan? It all started with this blogpost in 2010 |The Masterplan | and this other post where I was half way my home renovation. At the end my masterplan worked out really well, including the withe chairs. But here we are 5 years later and I am up for a change. The old and white painted army table is great and fits the atmosphere, but never came close to that idea of a large table. I am up for a different mood and I know what I am looking for and pretty sure I will eventually find the table of my dreams. Meanwhile I sold most of the white chairs and decided to replace them with different designer chairs and recently bought this Emeco chair to start with. To celebrate the 60 year's anniversary of the 3107 chair, Fritz Hansen came up with two special editions only for sale in 2015. 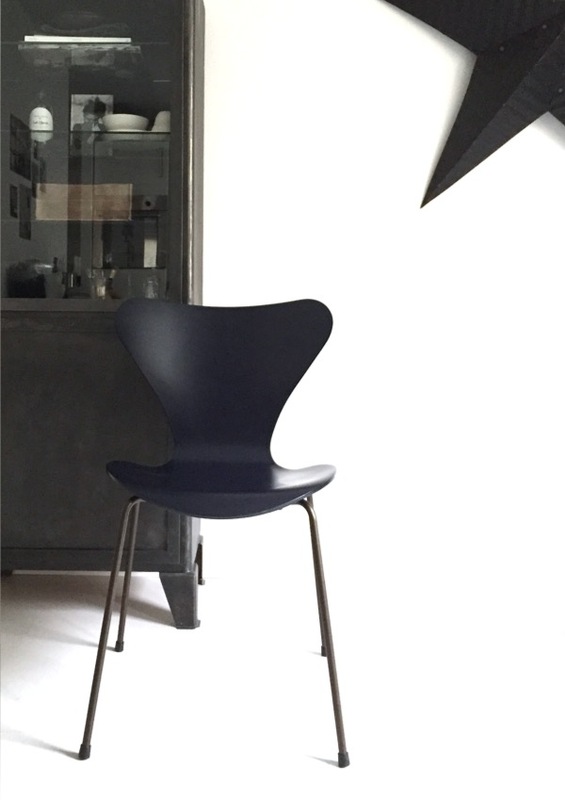 This week I have the opportunity to try out one them, the Fritz Hansen 3107 chair in deep blue with bronze lacquered legs and I am surprised how beautiful it fits my home, this is definitely a colour to keep in mind! 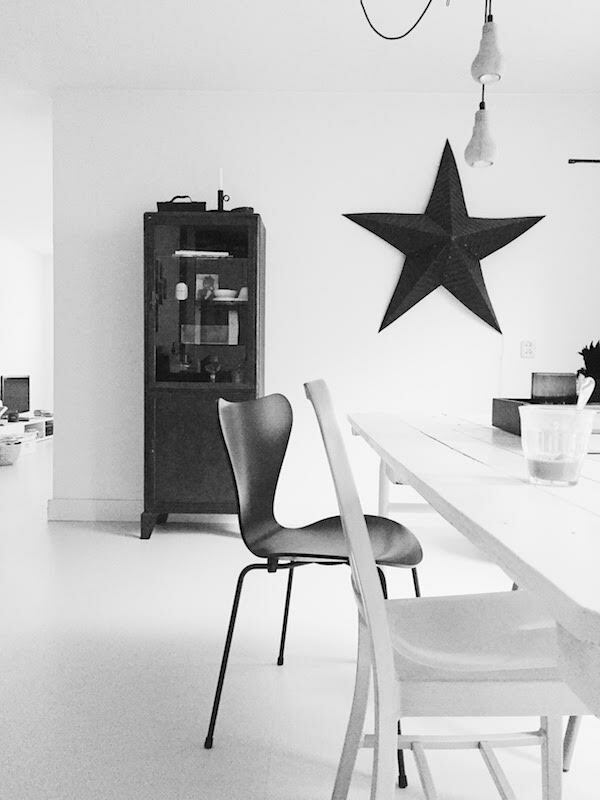 The limited edition chair will stay in 60 different homes of designers, architects, stylists and other people from the world of lifestyle, design and architecture in the Netherlands during this special sleepover project. You can follow their online through #sleepover3107 and #vlinderstoelviertfeest.